Even if you can beat your case with defense attorney tactics, sometimes it’s better to avoid the risk and accept admission into a diversionary program. In New Jersey, there are two common diversionary programs that the state offers, in lieu of a criminal charge. The first is known as “conditional discharge,” and it’s only used for minor drug offenses such as marijuana possession under 50 grams 0r possession of drug paraphernalia. If you haven’t used your conditional discharge, the state will give you a period of probation and no conviction. If you complete this probation without getting into trouble, your charges disappear entirely. If your charges are more serious and are at the Superior Court (felony), you might still be eligible for the Pre-Trial Intervention program, or PTI. This program is usually for third or fourth degree crimes in New Jersey. However, I’ve seen some serious second degree charges like burglary, eluding, and gun possession resolved with admission into the PTI program. On the other hand, first and second degree crimes bear a presumption of incarceration, and typically will not be eligible for diversionary programs. Some drug charges won’t be accepted into a PTI program or averted with conditional discharge based on your prior record. In these cases, drug court is a good option. You will face a much more stringent probation, with frequent drug testing, and you will have a criminal record. However, you will stay out of jail. Without an attorney, you might not be accepted into these programs. Having someone by your side who has a relationship with the prosecutor you are facing is a big deal. Additionally, many prosecutors would rather not fight a long grueling battle in court. 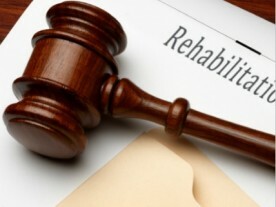 If your attorney can create a good case on your behalf, and can also negotiate with respect to your character, you are far more likely to be accepted into these programs.